Mckees Rocks Harbor Service (MRHS) is a Pittsburgh P.A. 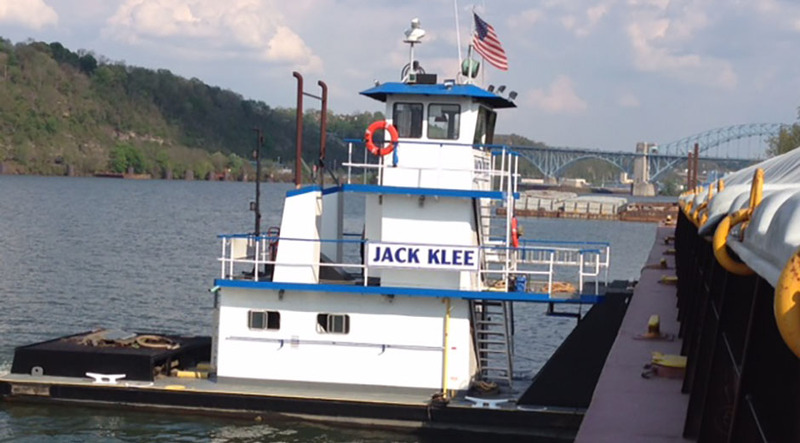 based towboat and barge fleeting company with operations at MP 4 Ohio River. MRHS is committed to ensure safe, efficient transportation of your products, and takes every measure to ensure that your cargo arrives where it should, when it should, and as it should. 24 hour Harbor and Tow Service- We provide 24 hour / tow service, day or night, rain or shine. We have dedicated crews that are available on a short notice to keep your vessels and products moving. Our fleet is conveniently located above Emsworth Lock at MP 4 Ohio River, this location enables MRHS to efficiently service local industries in a timely manner. We have the capability to fleet 40 plus barges during all stages of water. During High Water events in the Pittsburgh area, our crews and vessels are available 24 hrs/ 7 days a week to assist North and South bound vessels at Emsworth, Dashileds and Montgumery Locks. We can prepare your barge for its next cargo, thus minimizing extra shift costs and lost barge days. We provide barge cleaning, cover stacking, cover spreading, cover storing.